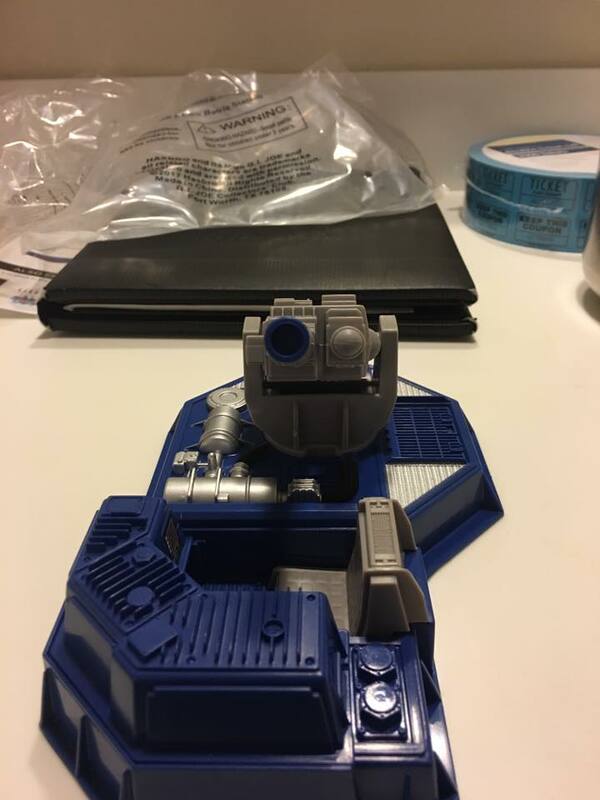 GIJoeCon 2018: Python Patrol Lamprey preview! 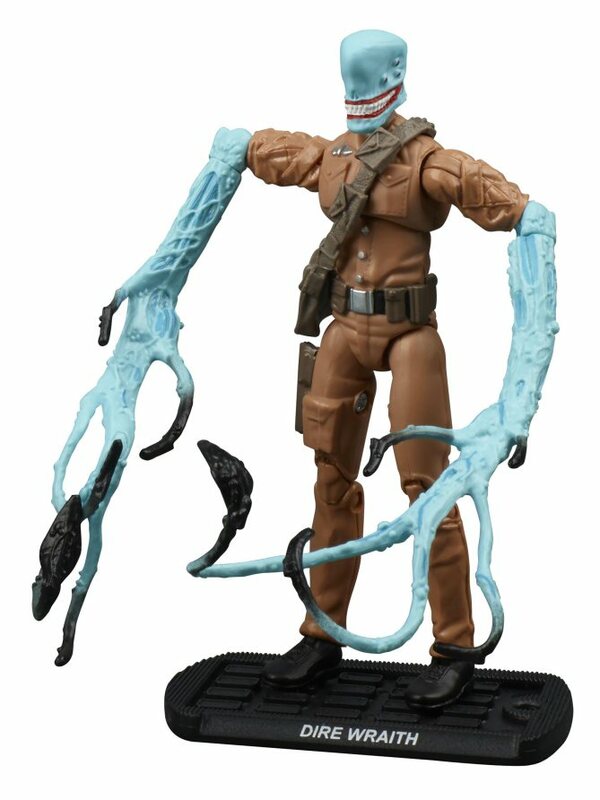 GIJoeCon 2018 is 139 days away and we’ve got our second figure preview– the Python Patrol Lamprey! Hmm… not entirely what I expected in terms of build. 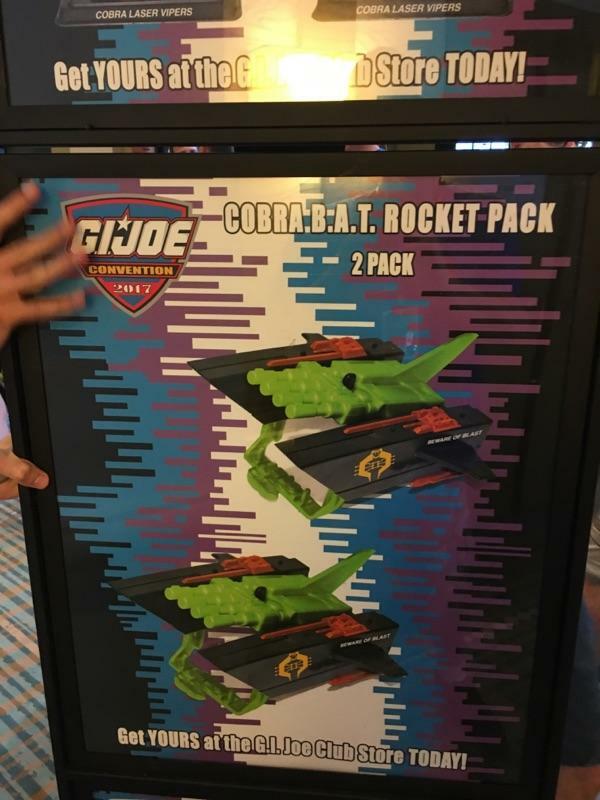 GIJoeCon 2018 is a few months away and the reveals have begun! First out of the gate is Slaughter’s Marauders Footloose! knife, pistol, flashlight, backpack, and G.I. Joe Logo Stand. GIJoeCon 2018 brochure is now online! The suspense is over… the GIJoeCon 2018 brochure is now ONLINE! 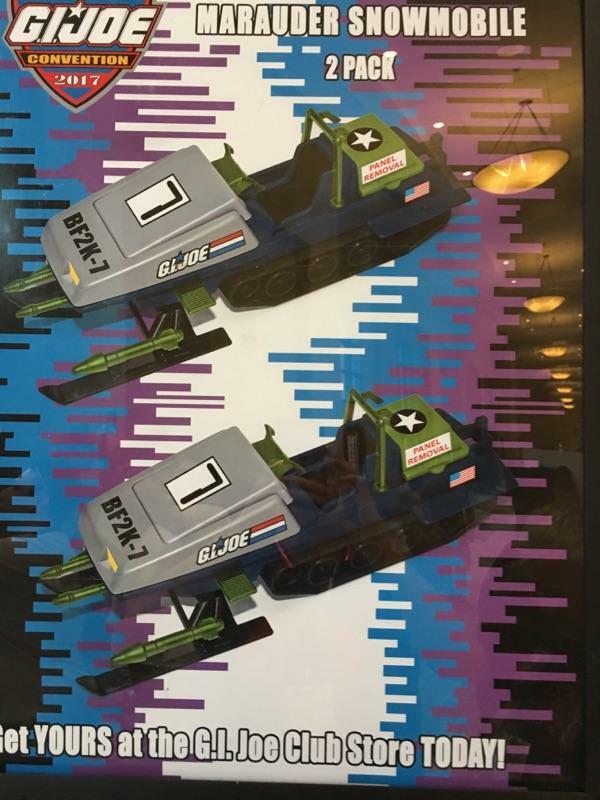 No more speculation… thanks to the release of the GIJoeCon 2018 brochure we know the theme of the final G.I. 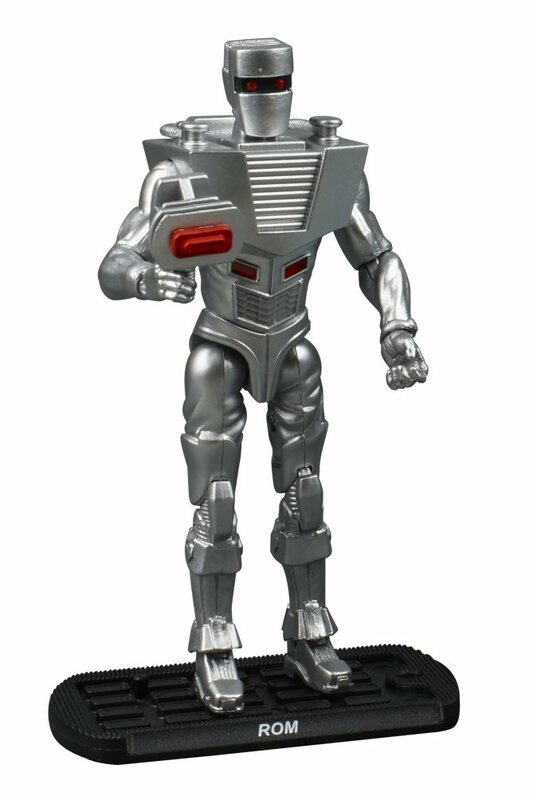 Joe Collector’s Convention set: Python Peril – Marauders to the Rescue! Using the latest radar absorbing materials and stealth technology, PYTHON PATROL 2.0 rears its ugly head with a surgical strike against their sworn enemy. Led by the nefarious MAJOR BLUDD, they have successfully captured a “Real American Hero” and key member of the G.I. JOE team. Five G.I. JOE team members: Sgt. Smasher, Footloose, Hardball, Mutt & Junkyard (K-9), Spirit & Freedom (eagle). 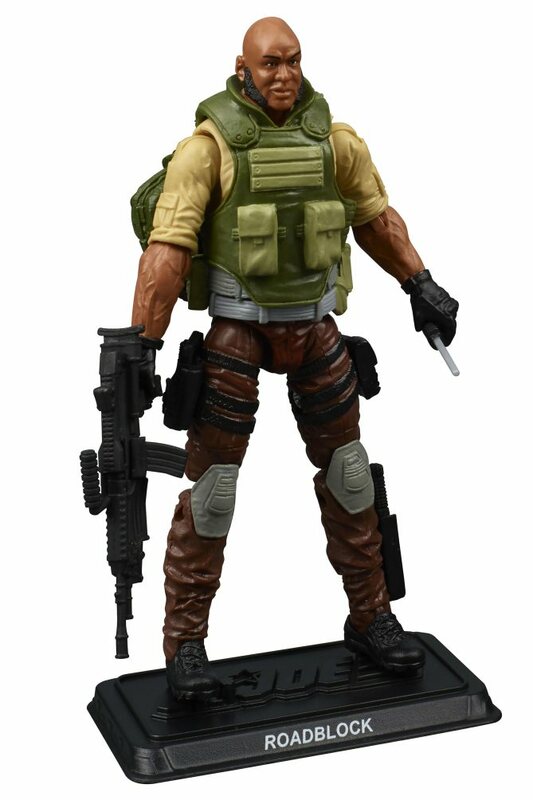 Ten COBRA team members: Major Bludd, Python H.E.A.T. Viper (troop builder x 3), Python Lamprey (troop builder x 3), Python Laser Viper (troop builder x 3). 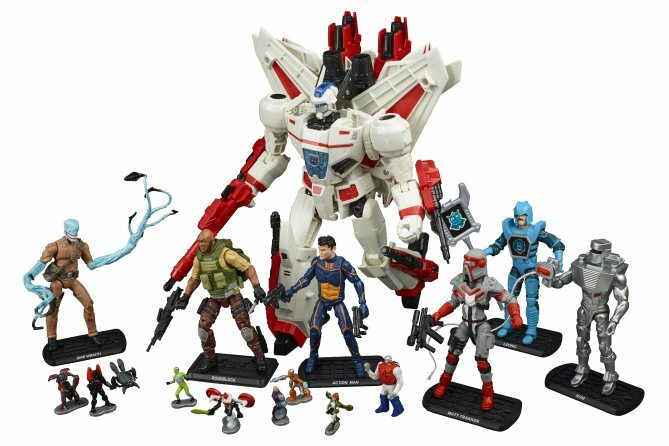 SDCC 2017 is in full swing and G.Hasbro’s annual G.I. Joe exclusives are very much on everyone’s mind! 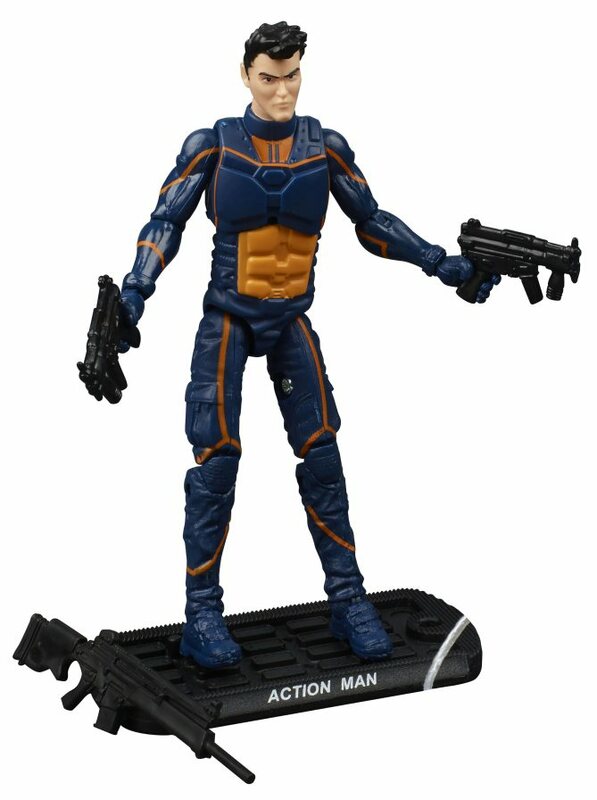 However, it would seem that those of us who are stuck at home know just when the sought-after comic con items will be dropping on HasbroToyShop.com. Yesterday, two product listings were quietly added to the website. Included in each product description was the note “available 8/14”. Apparently that day, the second Monday in August, will be when fans from around the globe will be hitting the site, frantically hitting F5 to refresh their screens in the hopes of completing their transactions before the items sell out. While the exclusives of the past few years have been pretty easy to obtain, there’s something about this year’s two G.I. 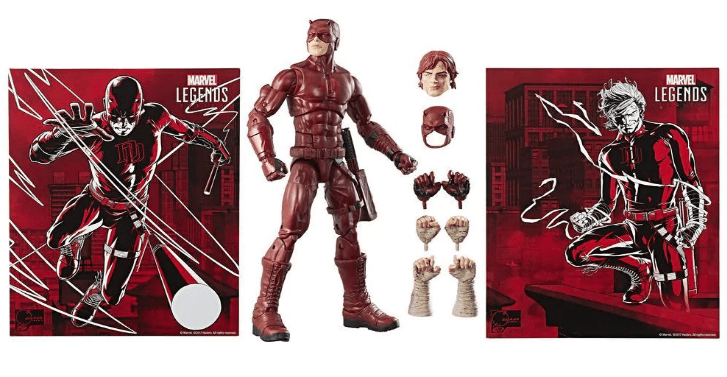 Joe-related SDCC items that feels very different. 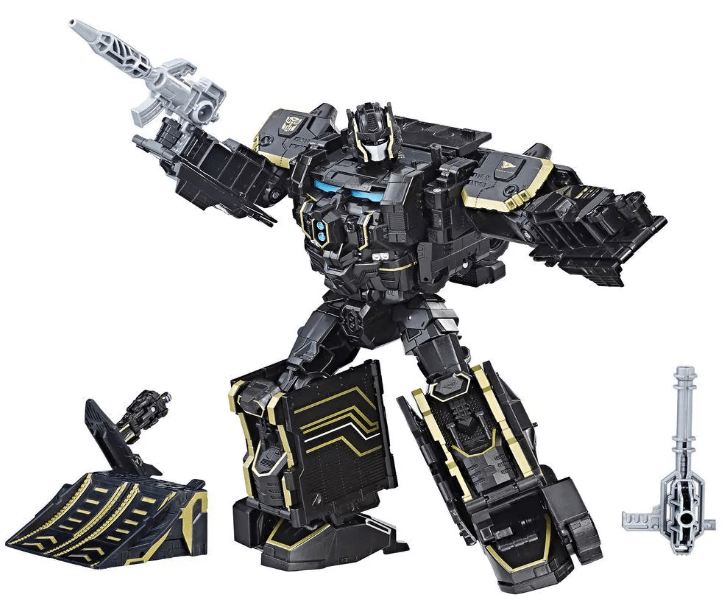 I’m not going to lie– I’m giddy over the prospect of BOTH of these sets, for very different reasons. 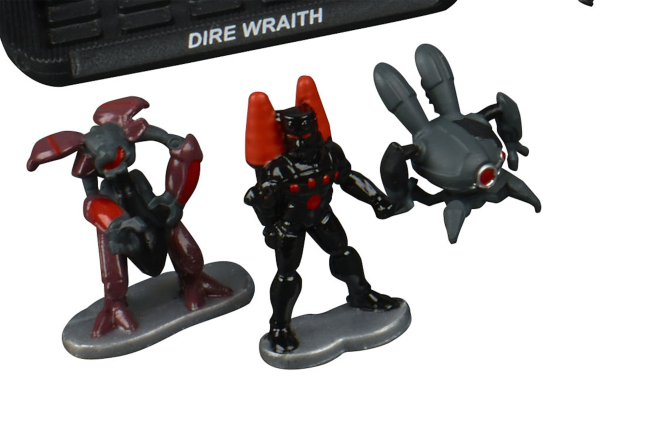 Nostalgia plays a heavy hand in my love for both sets but I’d be hard-pressed right now to choose one over the other if I had to prioritize dropping one in my cart first. 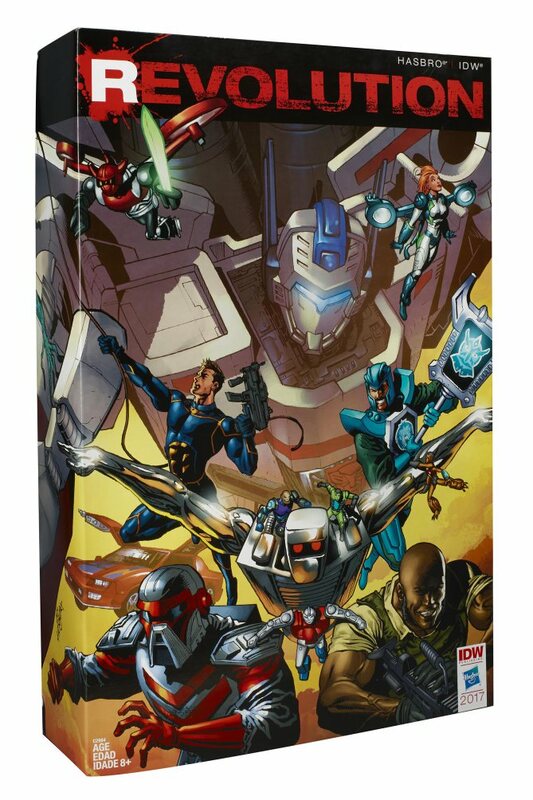 One one had there’s the AMAZING recreation/update to the Cobra Missile Command Headquarters but on the other hand there’s the IDW Hasbro Comic Crossover Mega-Set that includes Renegades Roadblock, ROM the Space Knight, and the Micronauts. Decisions, decisions. Regardless, August 14th is the day to put on your calendars kids! Thanks to YoJoe.com, we have a LIVE feed from this year’s Collector’s Club Roundtable panel. We’ll be updating this page with our notes as we can but we’ve embedded the LIVE feed below. 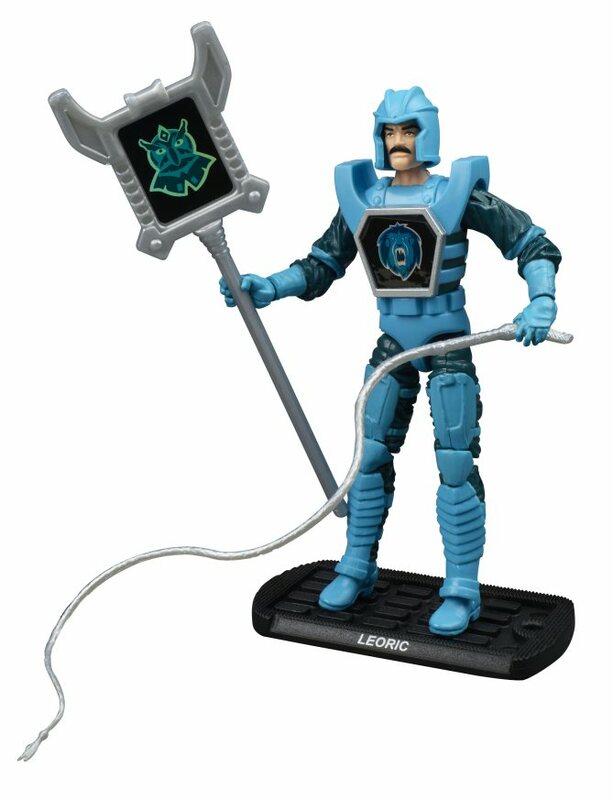 This year’s SDCC exclusive G.I. 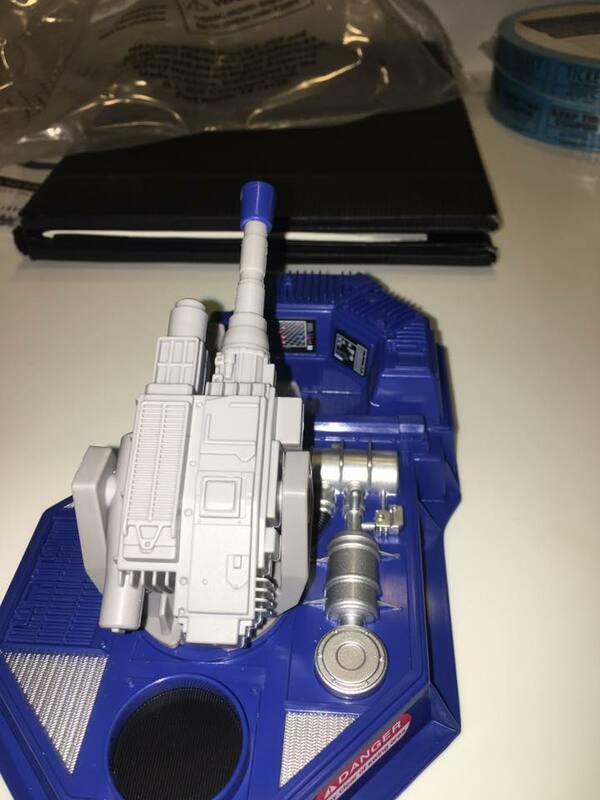 Joe item has leaked a bit early, thanks to the folks at io9.com! Sweet Colton’s Ghost! 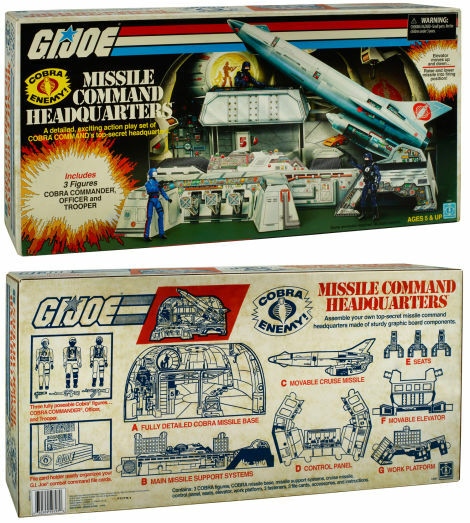 It’s the Cobra Missile Command playset!!! This bad boy is one of the rarest of the rare– a cardboard playset that was released exclusive to Sears back in 1982 when there was virtually no other product available. 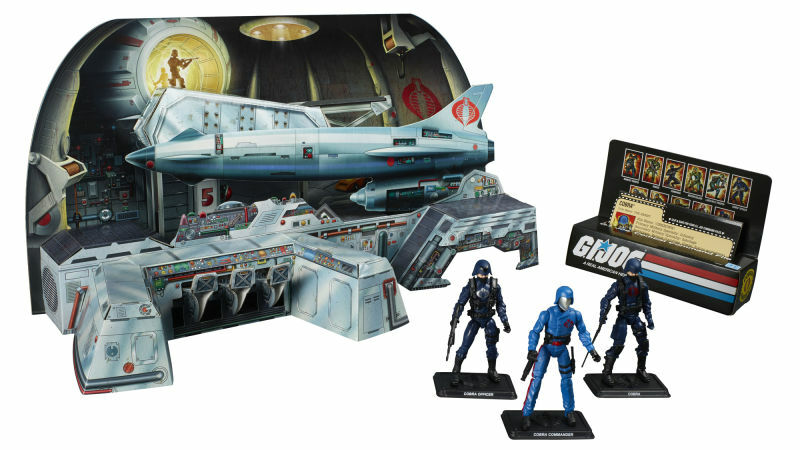 It came with Cobra Commander, a Cobra Officer, and a Cobra Trooper along with a diorama that seemed inspired by Ken Adam’s designs from the James Bond franchise. It was gorgeous. It was also fragile as all get out, due to being cardboard. 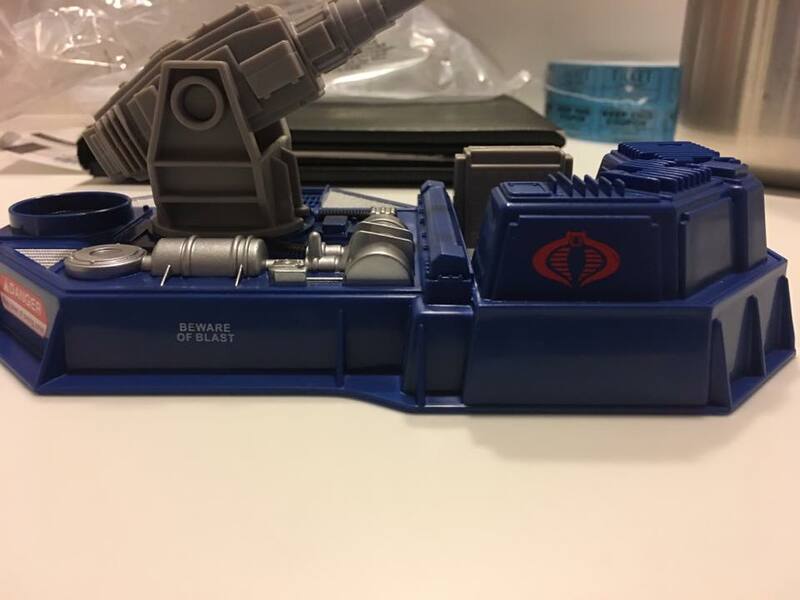 Cobraaaa! One of the rarest of all G.I. 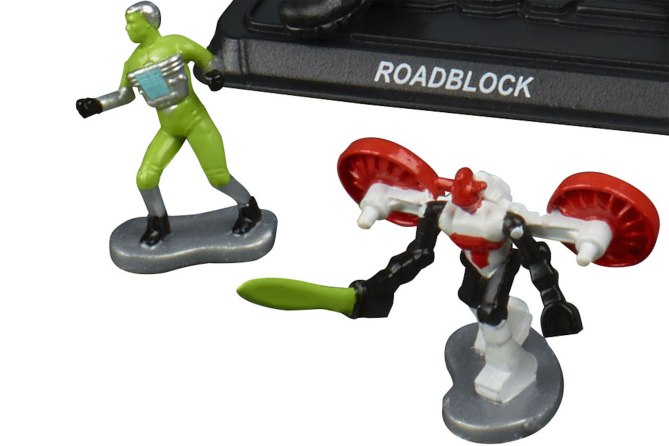 Joe playsets is back! The G.I. 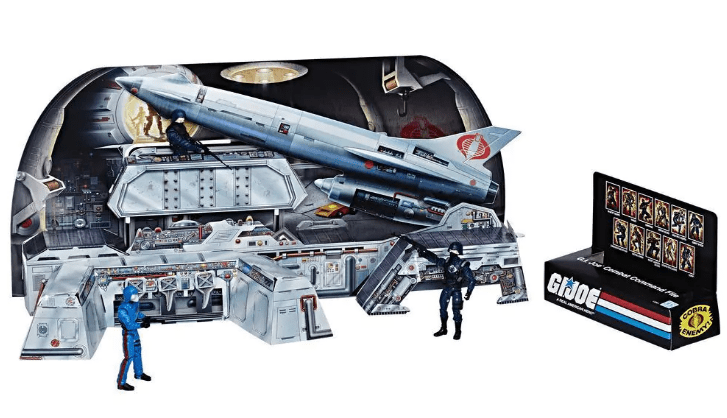 Joe Cobra Missile Command Headquarters, this convention exclusive is a faithful reproduction of the original and iconic Cobra Missile Command Headquarters Set from 1982. It recreates the classic design of the original in exacting detail with a weathered finished, following the original die-lines with all new re-created graphics. Assemble the highly detailed, sturdy graphic board components to build a headquarters that includes missile base, missile support systems, cruise missile, control panel, movable elevator, work platform, and seats. 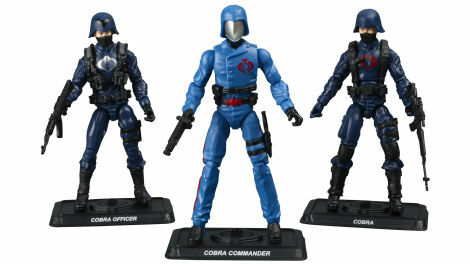 The set also comes with reproductions of the three figures that came with the original set – Cobra Commander (with a logo that is an homage to the original, first version Cobra Commander logo), Cobra Officer, and Cobra Trooper. 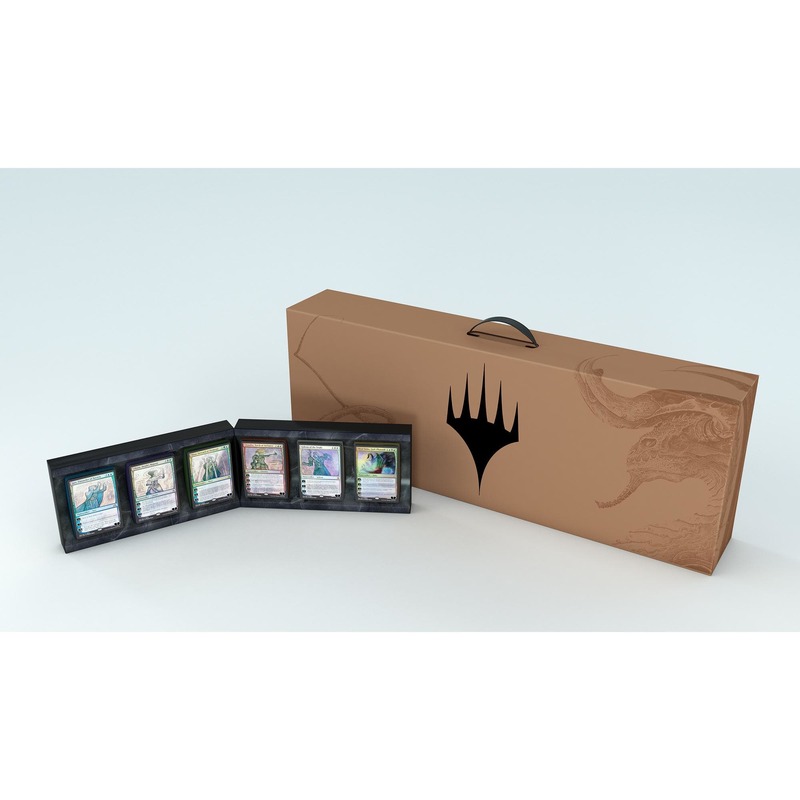 Set includes file cards for the figures, as well as a file card holder for the cards. The G.I. 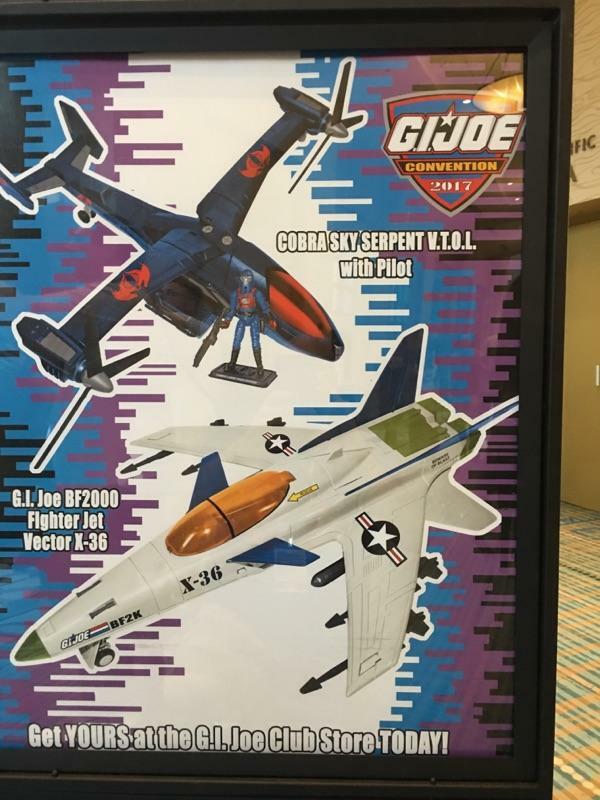 Joe Cobra Missile Command Headquarters will be for sale during San Diego Comic-Con 2017. 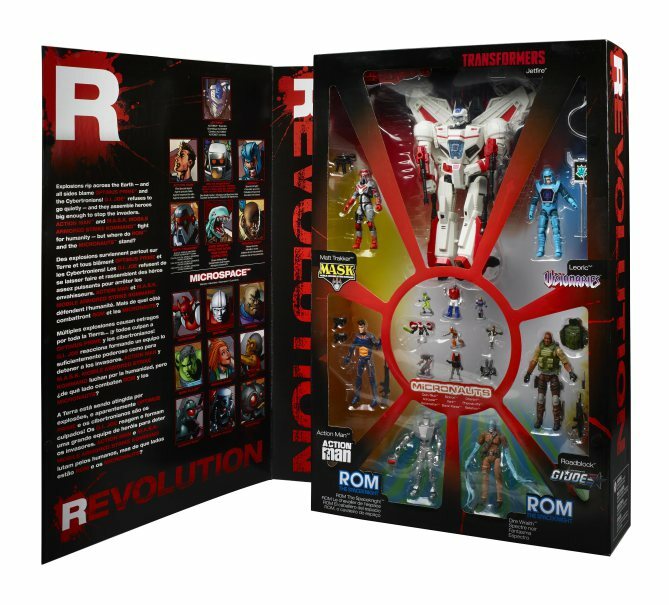 Following the convention, a limited number will be available on HasbroToyShop.com . Yes! Yes! YES!!! 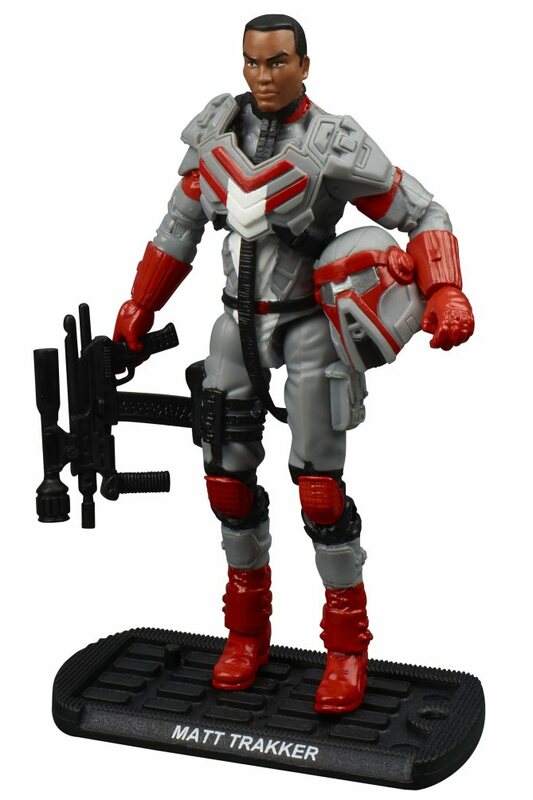 A “Mickey Mouse” variation based on the Retaliation Ultimate Cobra Commander and an update to the killer 30th Cobra Trooper? For $50.00?!! Consider this Joe fan SOLD! 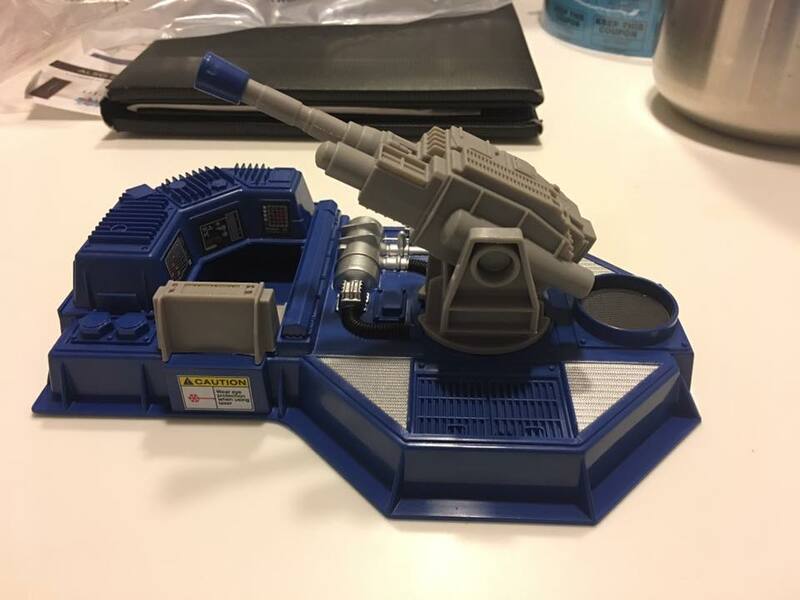 I never had a Cobra Missile Command Headquarters as a kid and now I can. 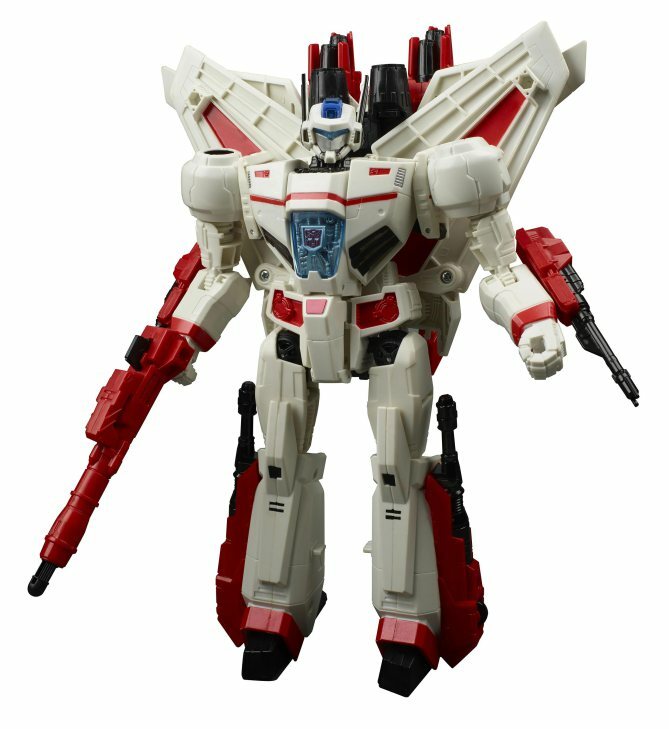 Now we just have to receive confirmation if this is also the Hascon 2017 exclusive as well. Joe Con 2017 is ramping up and Mike Tinnel of Just Another G.I. 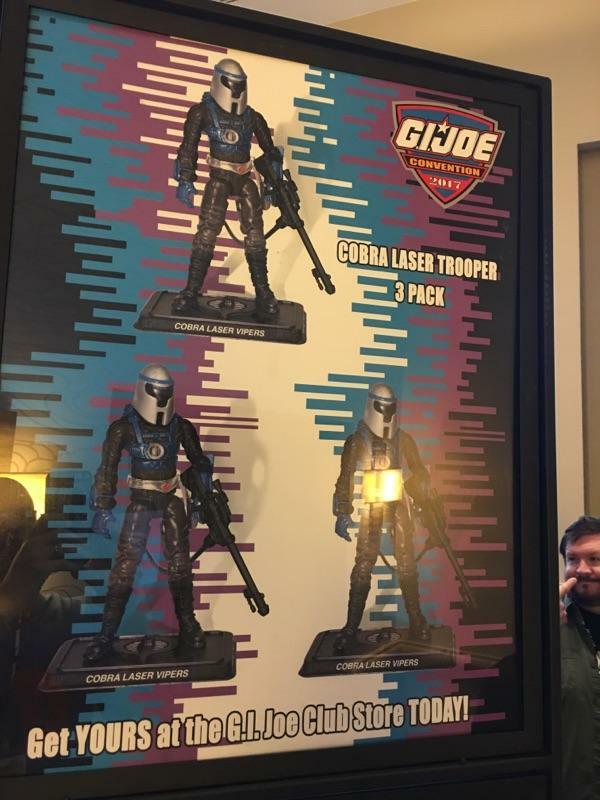 Joe Show has been hard at work already, providing details of the souvenir sets and other intel from the show floor. 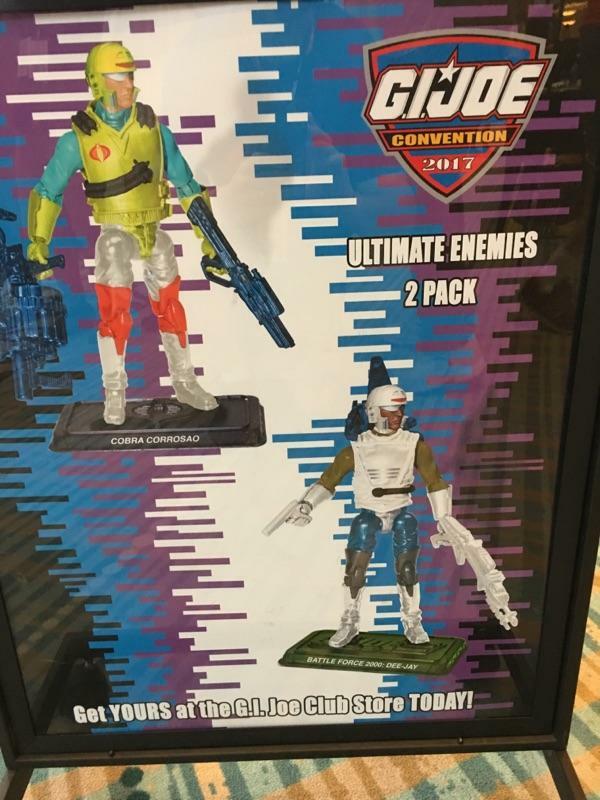 Late last night, Mike broke open his convention set and posted a series of videos showcasing the figures that comprise the Force of Battle 2017! 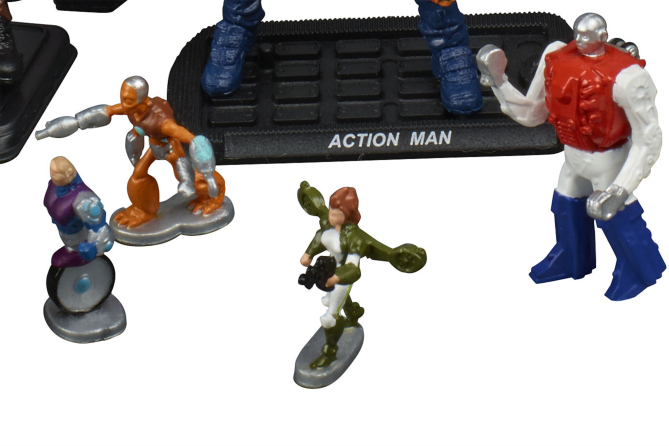 He even brought along vintage counterparts of the figures for comparison purposes. 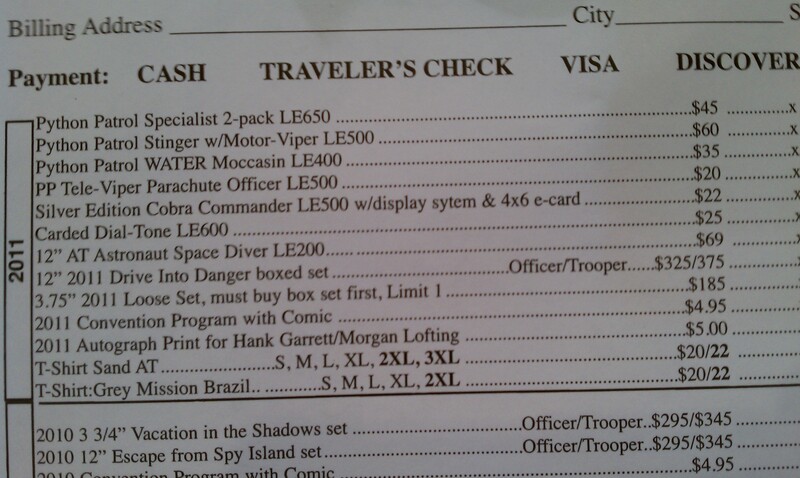 (I wonder what the TSA made of Avalanche, Blaster, Blocker, Dodger, Knockdown and Maverick.) Joe Con 2017 probably raises a few eyebrows at security checkpoints. 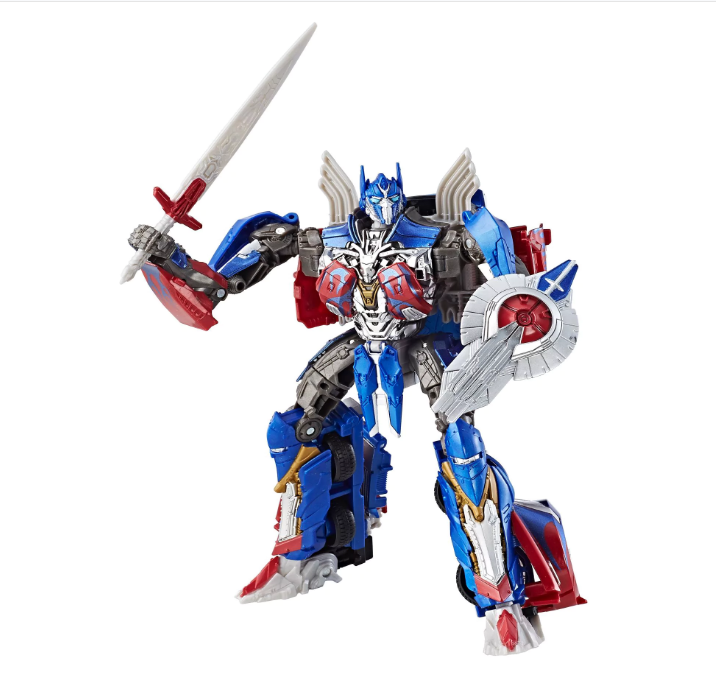 I’ll be embedding all the parts of his review below for your viewing pleasure as they go live this morning!